Even after just reading the title of this article, you probably already have images in your head. 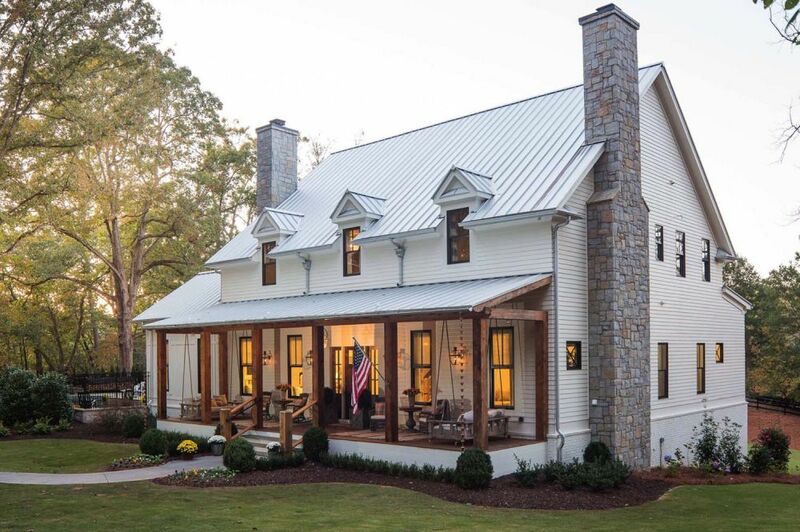 The word “farmhouse” is attached to so much more than just a house style. 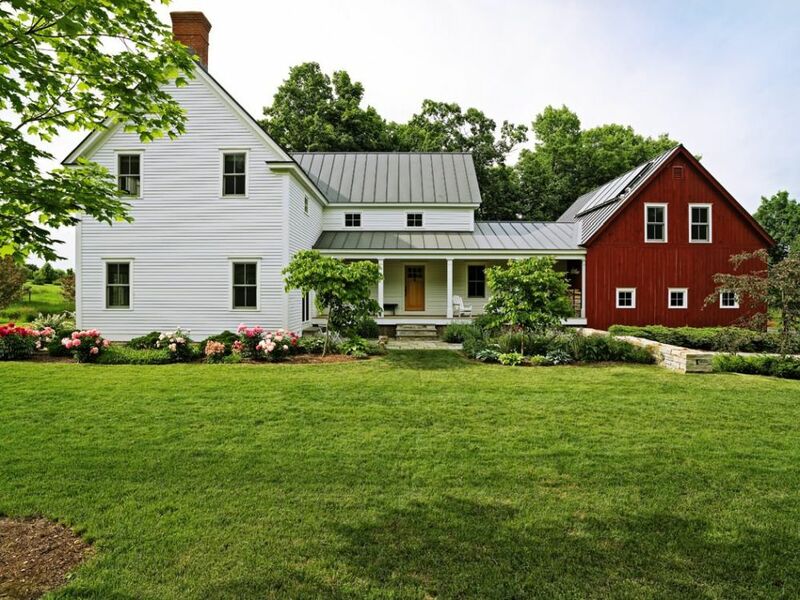 Maybe you’re dreaming of cornfields and red barns. 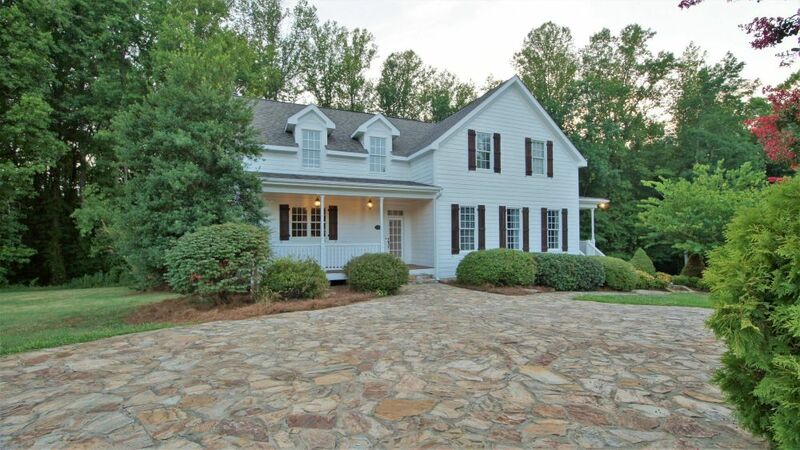 Maybe you’re imagining fresh pies and porch rockers. 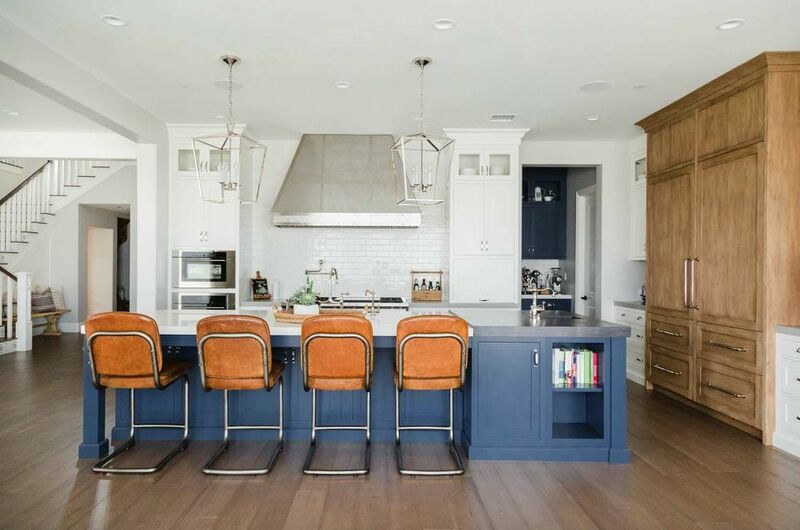 At the very least, you’re thinking of farmhouse specialists, Chip and Joanna Gaines. But if one thing is true, it’s that farmhouses revolve around family and hard work. 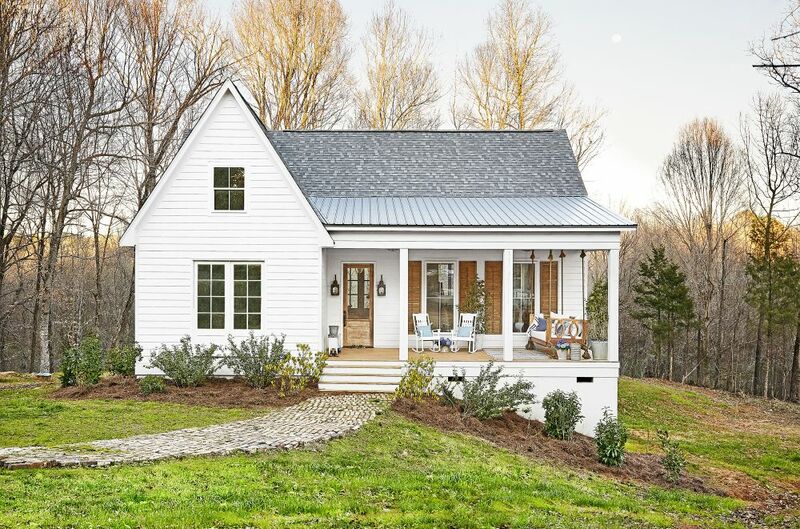 If you’re actively looking for a little slice of farmhouse heaven or just daydreaming about those porch rockers, here’s everything you need to know about the farmhouse style. Farmhouses originated back in Europe, in the wide open fields of Germany and Scandinavia. Back then, homes were not just a place to keep out of the rain but every element had to be thought out and productive. Farmhouses were made of wood which was simple to obtain and easy to work with, saving time and money for the owner. You would find farmhouses in the countryside, standing on flat ground with a water source like a lake or river nearby. Many featured front porches that spanned the house but rather than just a decorative accent, these spaces also served as storage for wood, a holding space for muddy boots and a gathering place when the days work was done. Inside the house, the downstairs was divided into two main parts. The front of the house held the rooms for entertaining like the parlor and dining area. The back of the house always had a spacious kitchen and if there was a second floor, the staircase that led to the upstairs bedrooms. 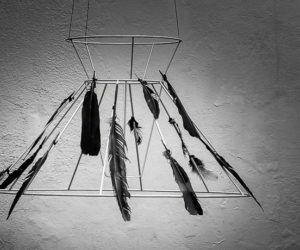 Ceilings were low and doorways were narrow but when you spent most of your time outdoors or in the kitchen, it seems that no one minded. 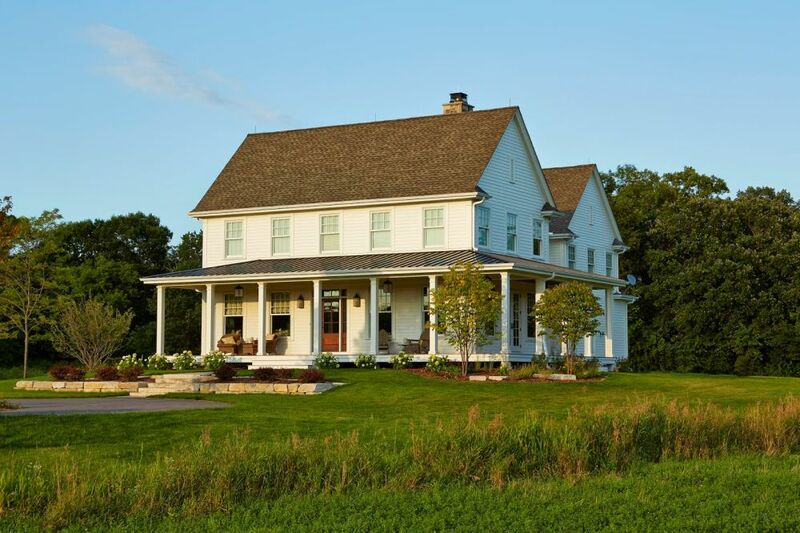 During the 1700’s, this farmhouse style spread West to Canada and then the U.S. 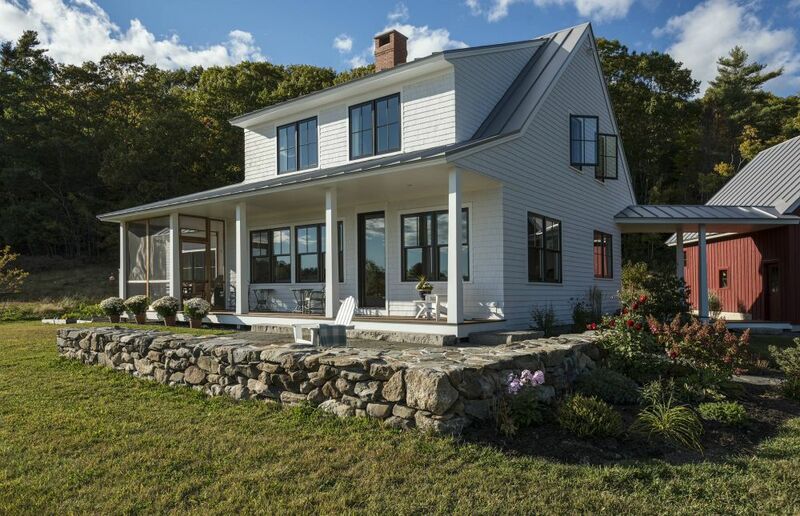 It inspired the Cape Cod and Colonial styles and to this day, it remains a practical, beautiful style for the farming family. Since the traditional farmhouse is mostly built with wood, that remains the main element on the exterior of any farmhouse today. But that doesn’t mean you can’t add other accents to beautify the facade. 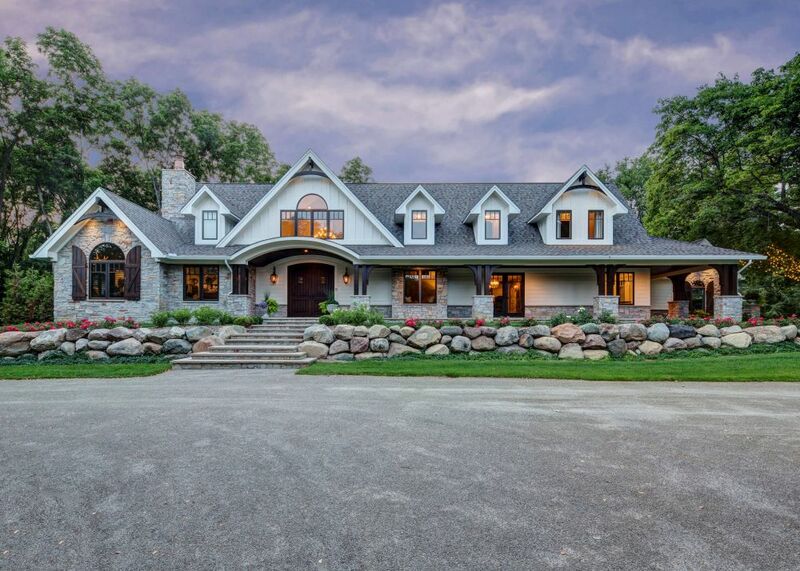 Stone in light shades gives some stunning texture to the classic white farmhouse front. 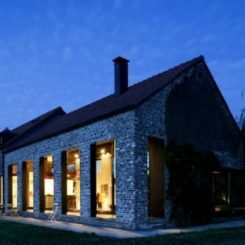 If you’re wanting to keep your farmhouse classic, consider using stone for your walkways and drive rather than on the house itself. 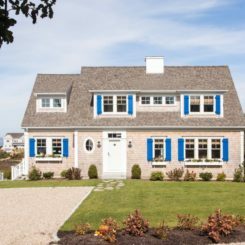 You’ll still get the texture and color from the stone but you don’t have to mess with your house’s siding. 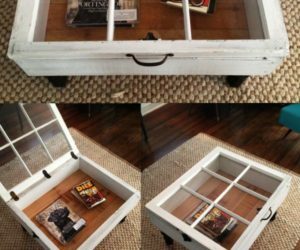 That makes this project much more likely to save you time and money in the classic farmhouse way. Maybe stone is a little too rustic for your taste. That’s fine, let’s bring brick into the picture. 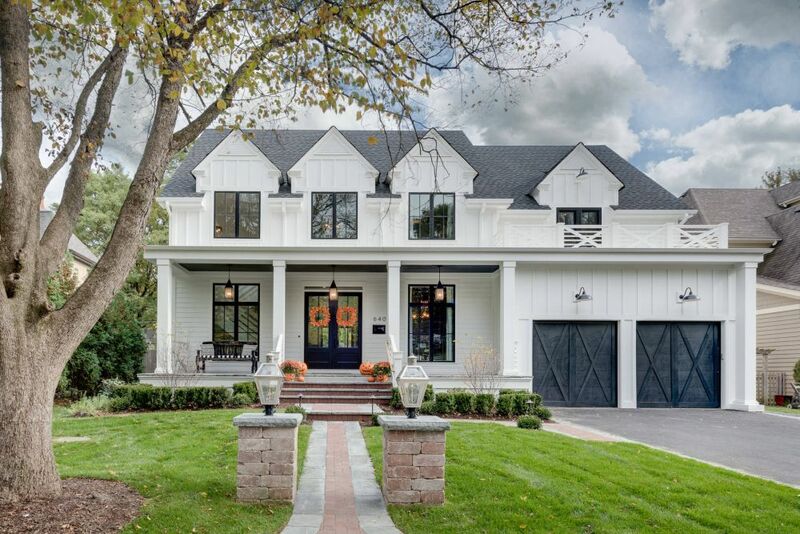 It’s a great way to mix the farmhouse and traditional styles, especially if your home is in the middle of a neighborhood with other brick abodes. A brick sidewalk, maybe some brick around the porch posts or foundation, just a little color and texture can change the whole view. 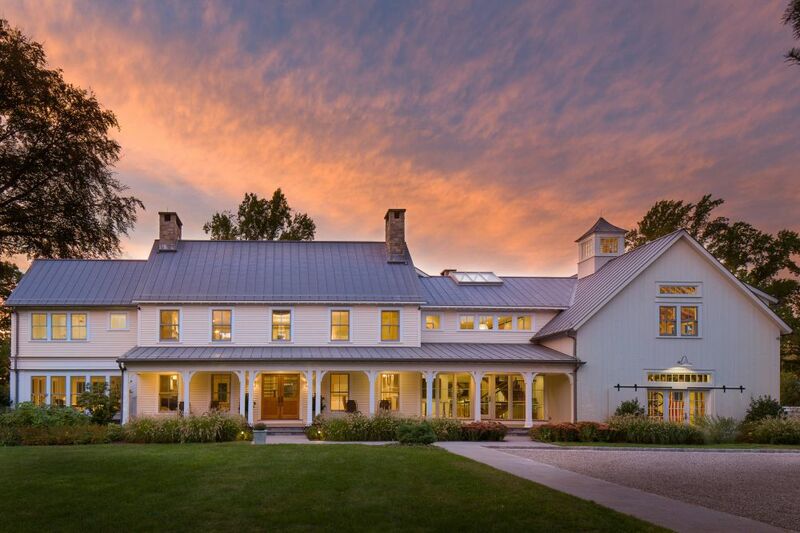 Some of the most beautiful farmhouses weren’t originally made that way. 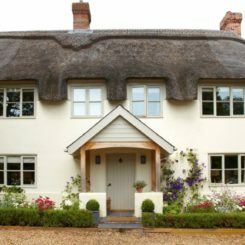 Painting your traditional brick house white can provide all kinds of opportunities to give you the farmhouse you always wanted without having to move. After that major change, the other elements are rather simple like shutters and lighting. Speaking of shutters, most farmhouses have them. 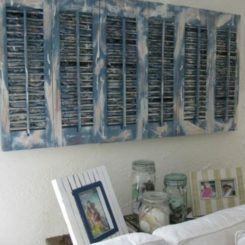 Though mostly for decorative purposes, there is something to be said for functional shutters. They’re larger to actually cover the windows and you get to choose pretty hardware. In the end, they’re definitely worth considering. In some of the old farmhouses, the front porch was a major part of life, stretching around much of the house. 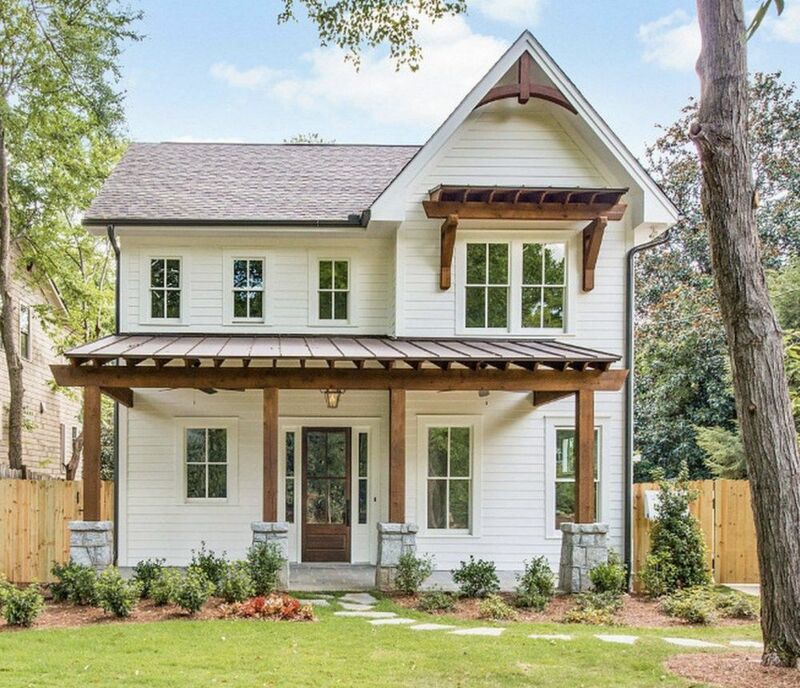 With our modern needs, you might need a little more square footage and a little less porch. Don’t be afraid to turn part of that space into indoor space instead. A small porch can be just as useful as a large one. Hello deep and rich wood. Just because your house is made of it doesn’t mean you can’t decorate with it too. 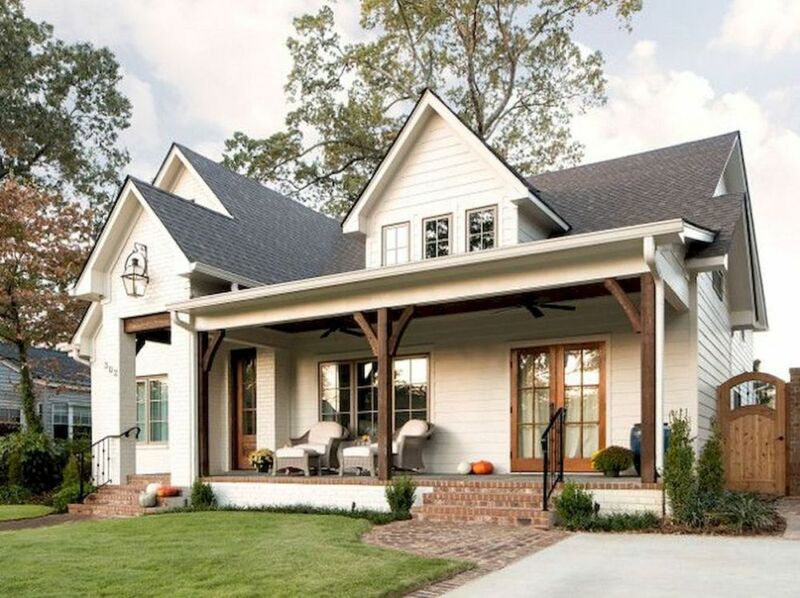 Strip the porch beams and stain them to stand out against the white siding. Exchange your front doors for something wood and paned. 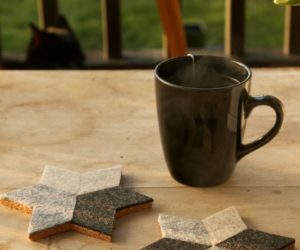 These accents will bring just enough rustic charm to your farmhouse to give it personality. 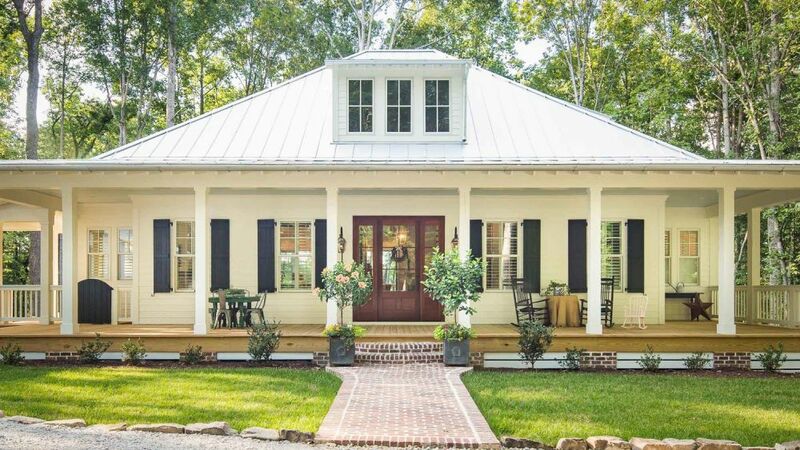 Looking for the ultimate rustic farmhouse to welcome you home? Let’s forget the white altogether. 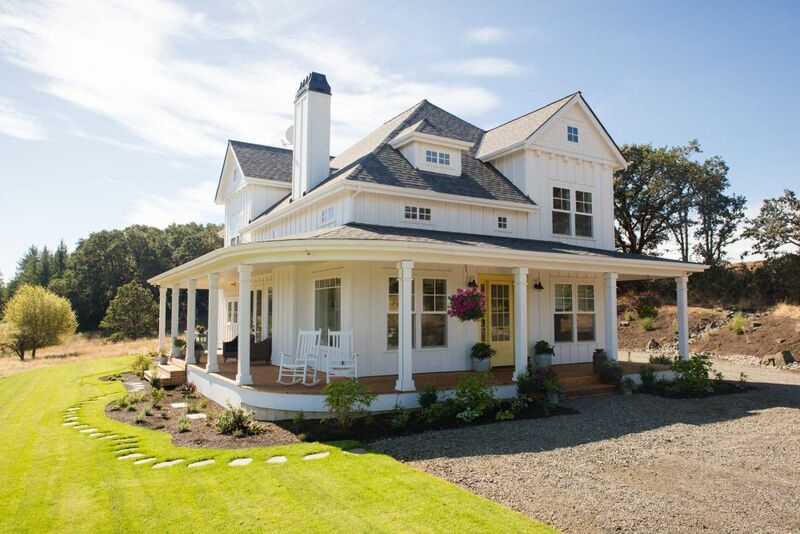 A plain wood house will be a unique find among the white farmhouses and it will match your wood barn like no other. Time for the finishing touches. 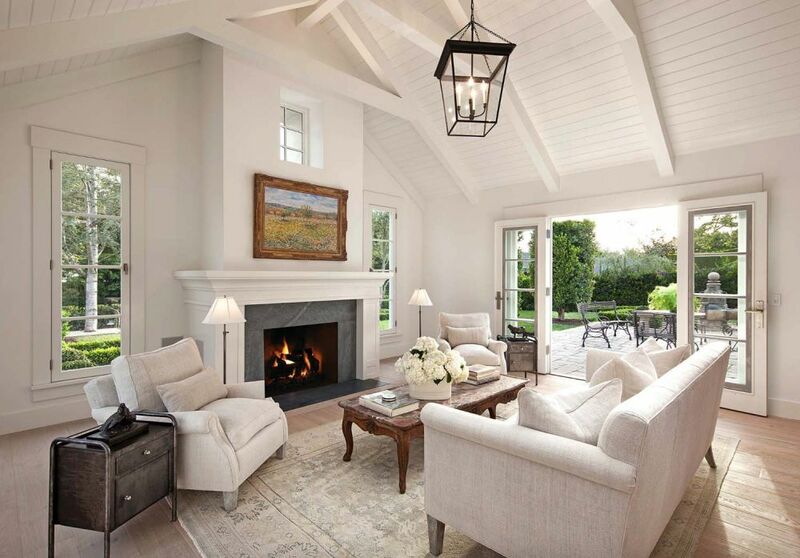 Lantern lighting, whether it’s a pendant or the sconce kind, is a great choice for a farmhouse exterior. 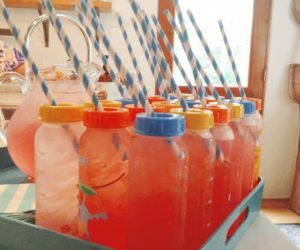 It harkens back to the old days of taking the lantern to the barn early in the morning and late at night, creating a welcoming porch for all your family and friends. Last, but certainly not least, you simply have to add a picket fence someplace on your property. It might be fencing in your front yard or maybe it’s protecting your veggie garden. 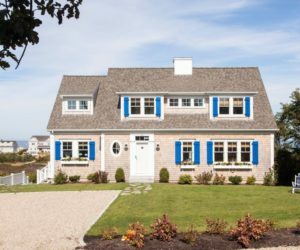 Either way, that picket fence will provide double the space for all kinds of landscaping and really infuse your home’s exterior with an olden days charm. 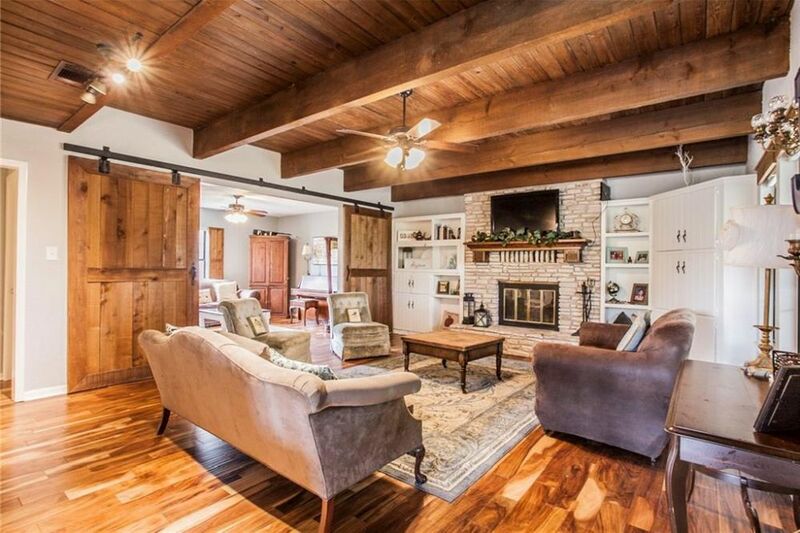 Let’s talk about the interior of a farmhouse. While the old homes might have had low ceilings, that’s not usually the case with farmhouses today. Many times you’ll find that someone took the feeling of vastness and space from the outside and brought it in with a vaulted ceiling. When you have more headspace in your home than the traditional farmhouse, it’s only natural that you would style that space too. Wooden beams, whether real or practical, can be a lovely addition above your head as well as some pretty hanging lighting. 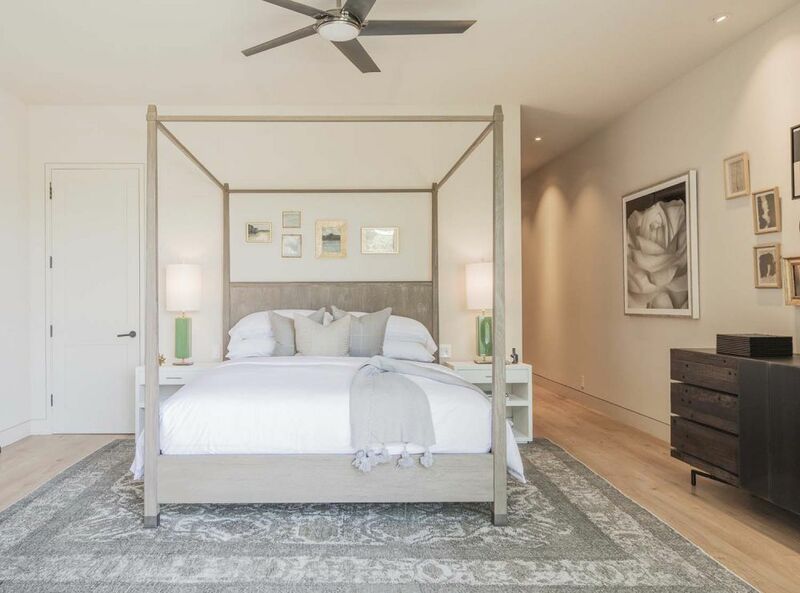 Open floor plans are one of the top coveted home elements today. 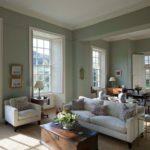 For a farmhouse, that probably requires knocking out a few walls to join the formal and informal areas of the home. But once you do that, you’ll have an open floor plan that everyone will envy. When remodeling any house, it’s important to take pattern and texture into account so you end up with depth and interest. 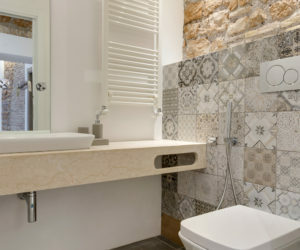 In a farmhouse, you’ll most likely want to keep things light and airy when it comes to those permanent elements like tile. A subtle pattern in the bathroom will provide that farmhouse grace you crave. 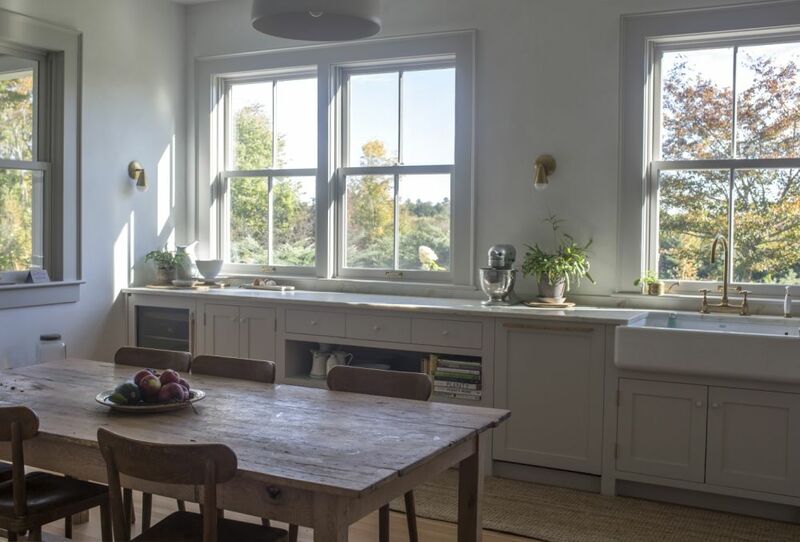 While we’re talking about light and airy, you simply have to give a nod to the farmhouse windows. 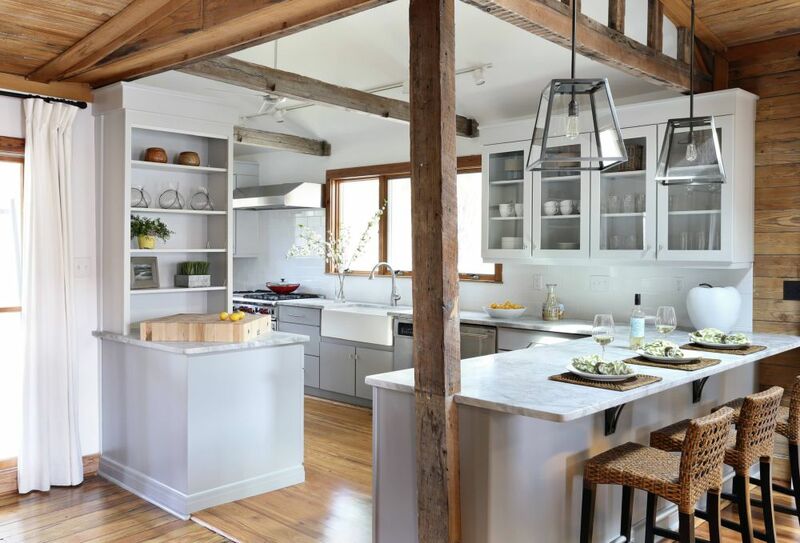 Big and frequent, most farmhouses are full of wonderful natural light. 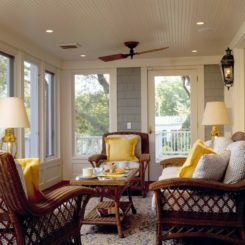 The only thing you might improve is exchanging a window for a french door onto a new patio or outdoor area. 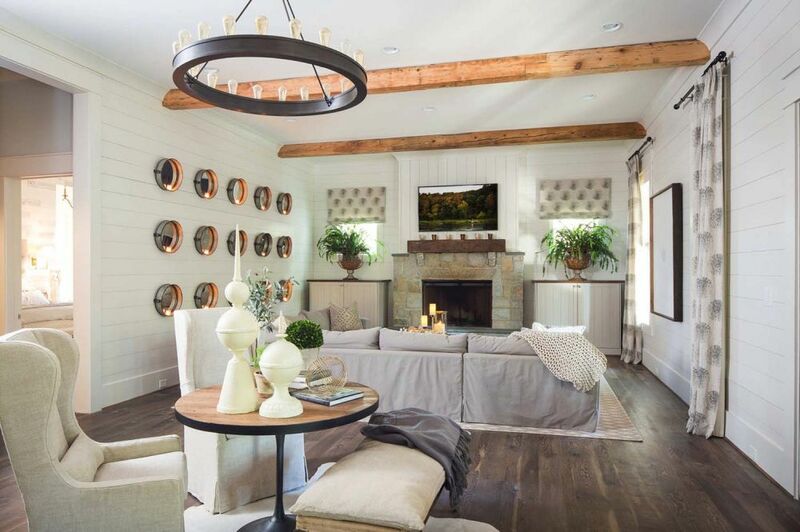 What about the shiplap walls! Yes, you’d probably be wondering about those thanks to Joanna Gaines. 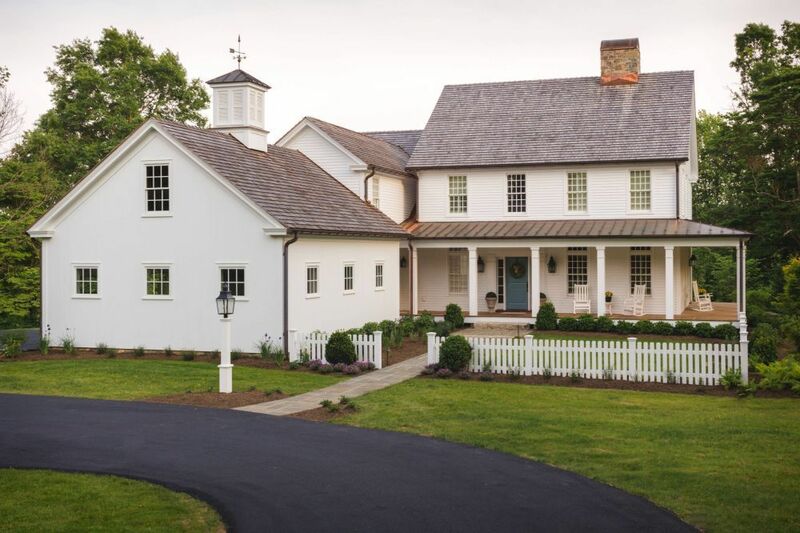 You can find those beautiful white lines in farmhouses old and new. It’s a lovely way to master the white walls technique in an older space. As we mentioned above, farmhouse kitchens have always been spacious, due to the amount of work and gathering that happen here. So it’s rather surprising to find a lack of cabinets in one of these kitchens but the traditional farmhouse just didn’t provide them. Working with less storage space will help you choose what is really useful in your kitchen and what isn’t. 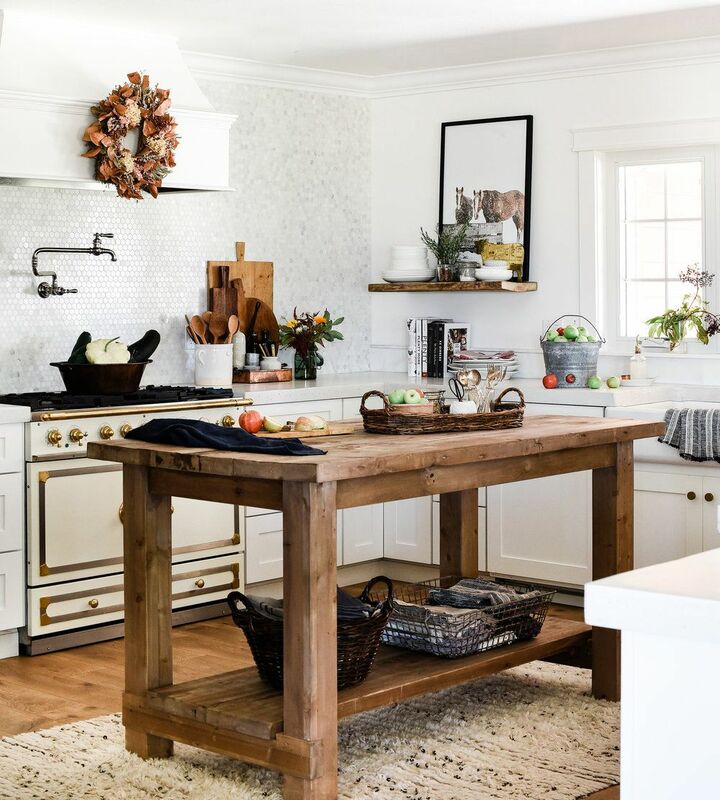 When there just wasn’t enough storage space, it was common to find open shelving in farmhouse kitchens. 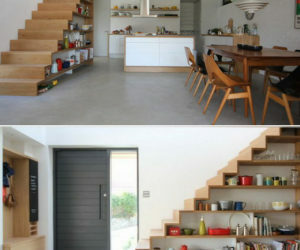 Lucky for you that the open shelving is still on trend so you can use it all you like in your own kitchen. 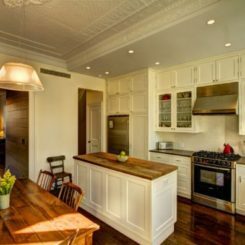 You might even consider replacing your upper cabinet doors with paned doors that will make everything open to the eye. Don’t think that all that floor space is going to waste. 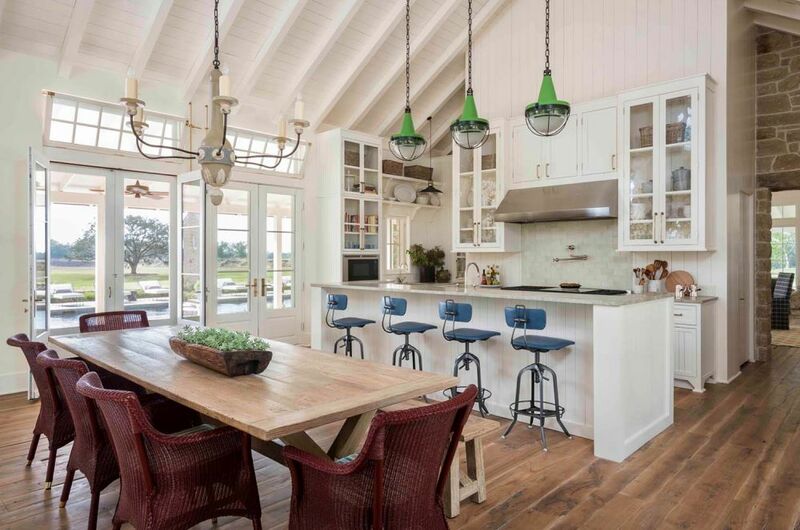 A real farmhouse kitchen has some kind of island. 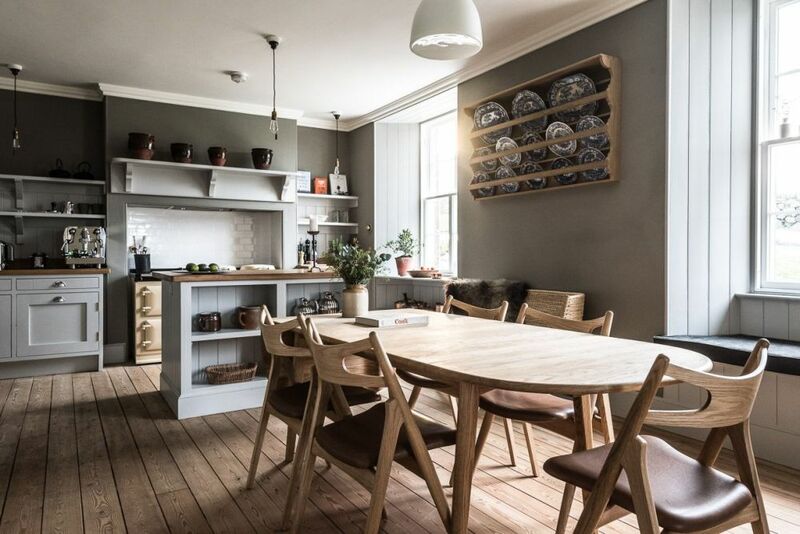 Not only does it provide extra workspace and extra storage, it gives you a spot for bar stools that will invite people you love to hang out with you while you cook. In any house, storage is important, but many farmhouses are dwellings for families which means storage is essential. 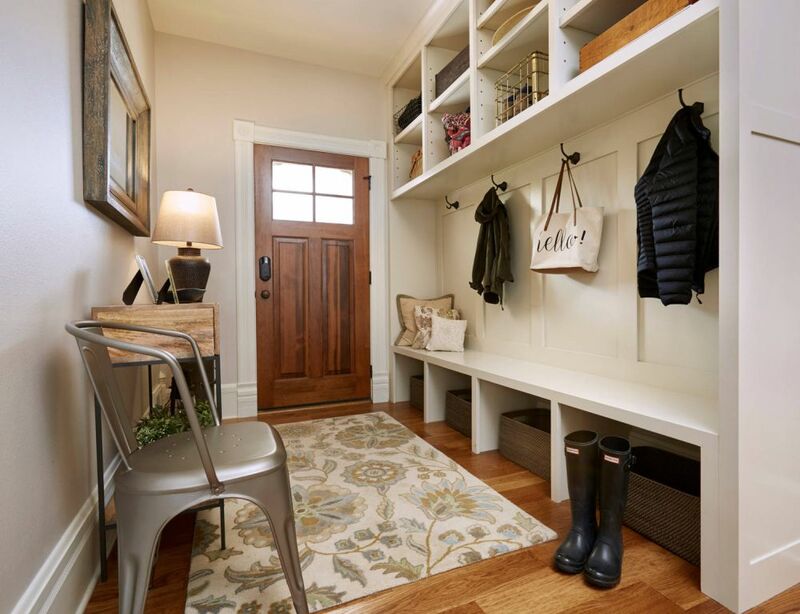 You can’t underestimate a good entry area for shoes and coats to live in between adventures. Especially when there are four or five pairs of boots. 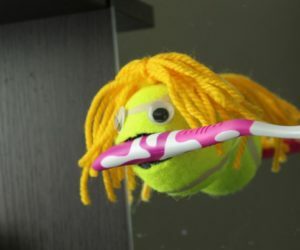 While we’re on the topic of storage, lets get creative. Sometimes our old homes just don’t have enough cabinets or closets to suit us so we have to get creative. 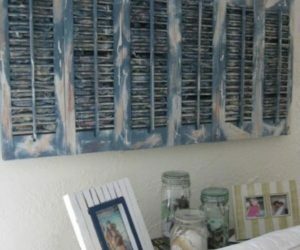 Wall shelves instead of a bookshelf, plate rack instead of a cabinet, the options are endless to give yourself more space for your treasures. Living in a farmhouse means in can all be wood storage and no one will bat an eyelash. Of course the wood can go beyond storage. 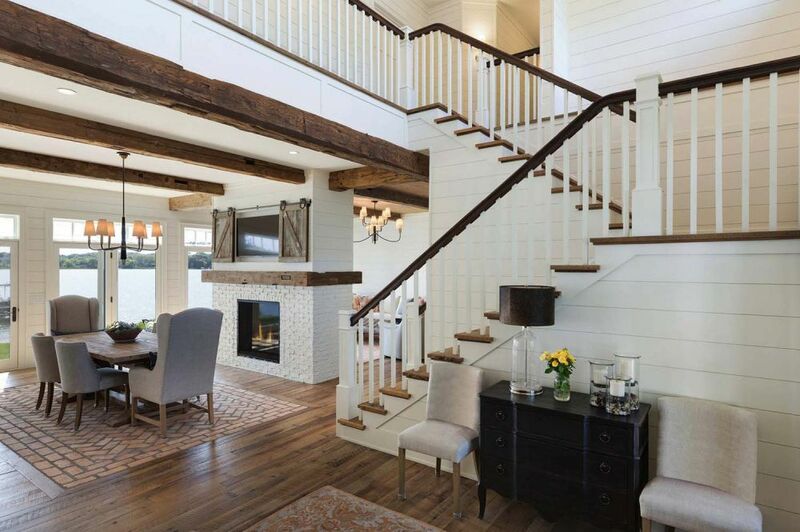 Wood is the fastest way to infuse rustic accents into your farmhouse. An old wooden coffee table will look lovely against a velvet sofa. Some wood cutting boards in the kitchen will be both beautiful and practical. All of these brown shades will give your space warmth and history. Barn doors are popular eye catchers in the farmhouse home. 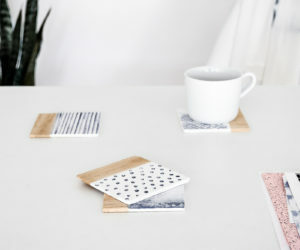 They might be their natural wood or maybe painted a color but either way, they make a statement in any room you put them in. 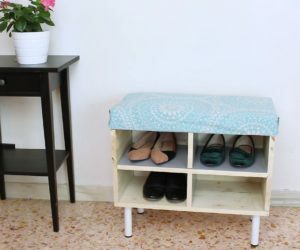 Plus they are an easy DIY project. 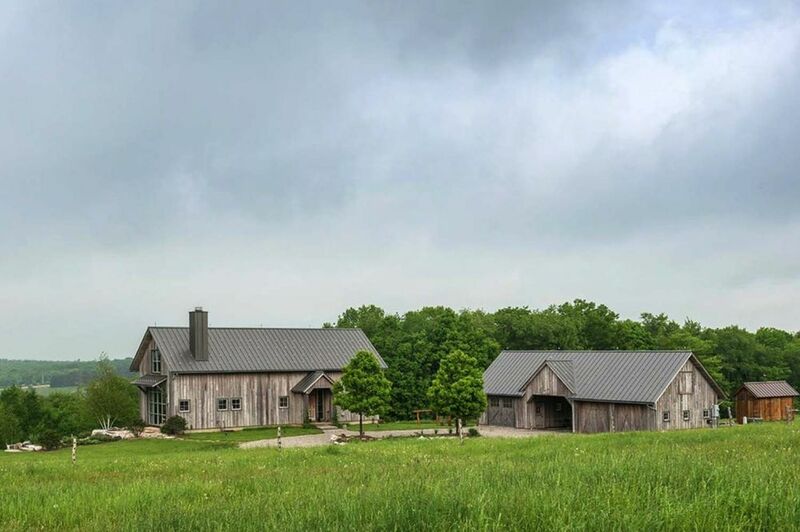 Wood is only one texture you should consider when finishing your farmhouse. Metal brings an industrial vibe to a space while woven blankets add coziness. Velvet is chic and linen is rustic. Mix and match based on your goal for your space to create a farmhouse home that looks like Joanna Gaines’s design. 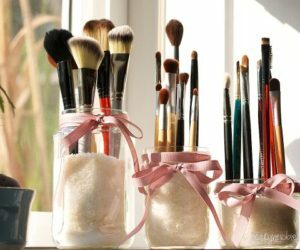 What do you do when all your furniture and decor is neutral in your farmhouse? Now it’s really time to embrace the texture. Opt for gray shades of wood instead of brown and layer on the pillows in all the beiges you like. You can still get farmhouse style without all the color. Some of these farmhouses have wonderful nooks and crannies. It’s obviously the perfect opportunity to put together a dedicated area for your family. You might add a window seat for a reading nook. Or a desk for a home office. Filling these spaces instead of leaving them empty will add to the coziness of your farmhouse. 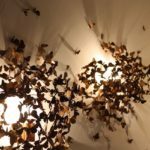 Yes, even a farmhouse can kill it with wallpaper. Stick to a classic pattern that will compliment the age of the home and you’ll create a winning room that you’ll never want to leave, even if it’s a bathroom. 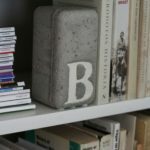 When your style leaves clean and simple but you live in an old farmhouse, you have to find ways to bring the two together in a way that won’t clash. Small traditional touches like a painting in a gold frame or a piece of heavy carved furniture will give weight to your living area while not taking up too much space visually. Classic farmhouse decor definitely had some color built in. 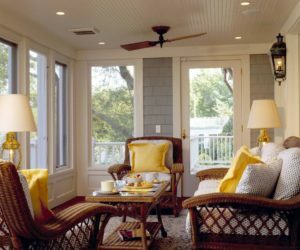 How can you resist adding yellow to the bedroom that the sun brightens first thing in the morning? Quilts are a must as well as some chippy furniture. You’d better get thrifting. 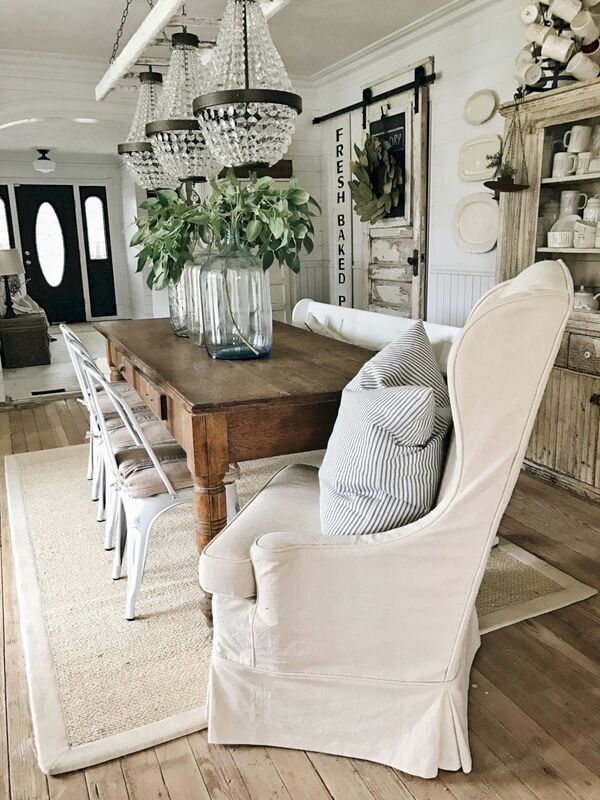 Last but certainly not least, after you’ve painted and stained and exposed and fixed, find yourself a long farmhouse table. 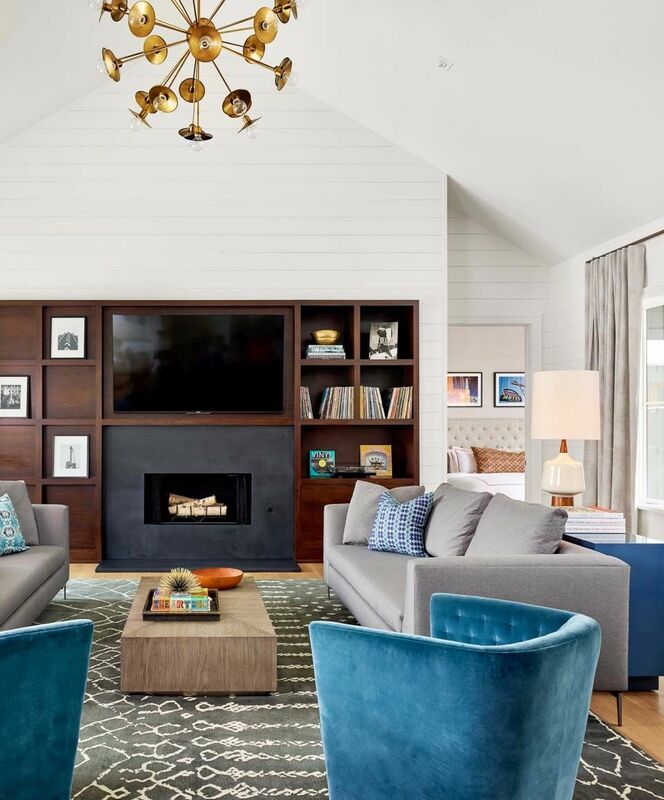 Since farmhouses are so much about family and togetherness, having a good entertaining space that can seat a large group will be the final and perfect touch in making your farmhouse into a home. 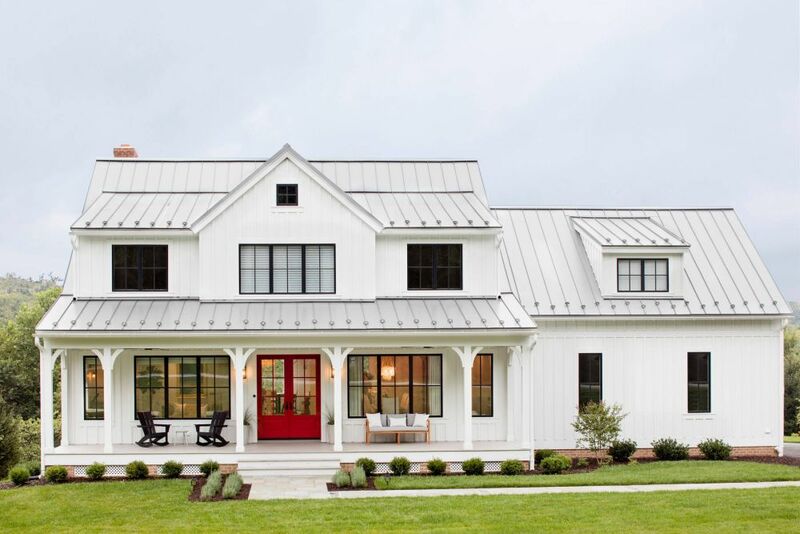 Nowadays, while there are plenty of people revamping the classic old farmhouse, you’ll definitely find more inspiration for a modern farmhouse. Usually they are dual tones with vertical white siding and black lined windows. 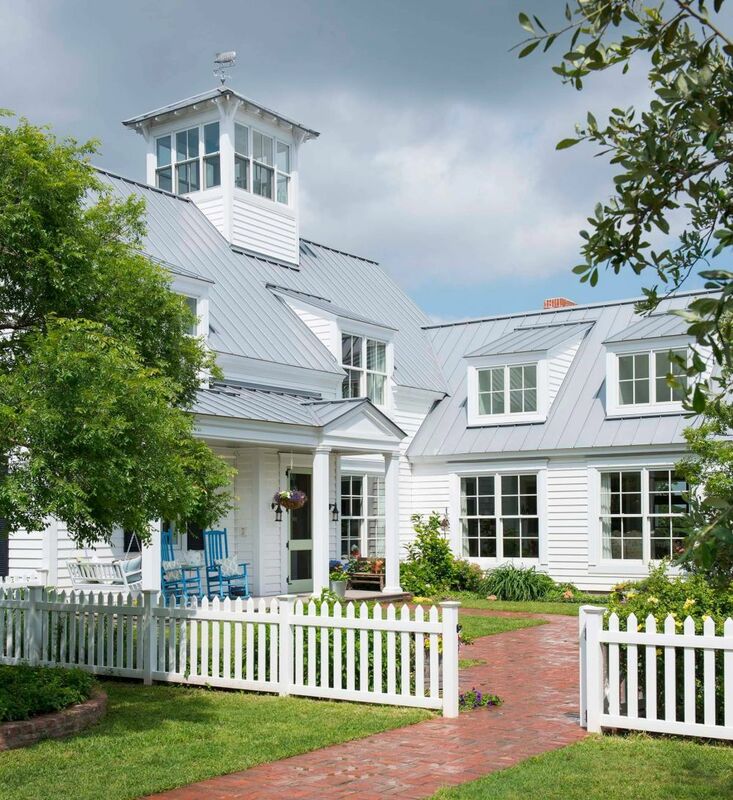 Metal roofs are increasingly common and the exterior often manages to look modern and farmhouse at the same time. Yet what these houses achieve in upgrades they by no means lose in charm. 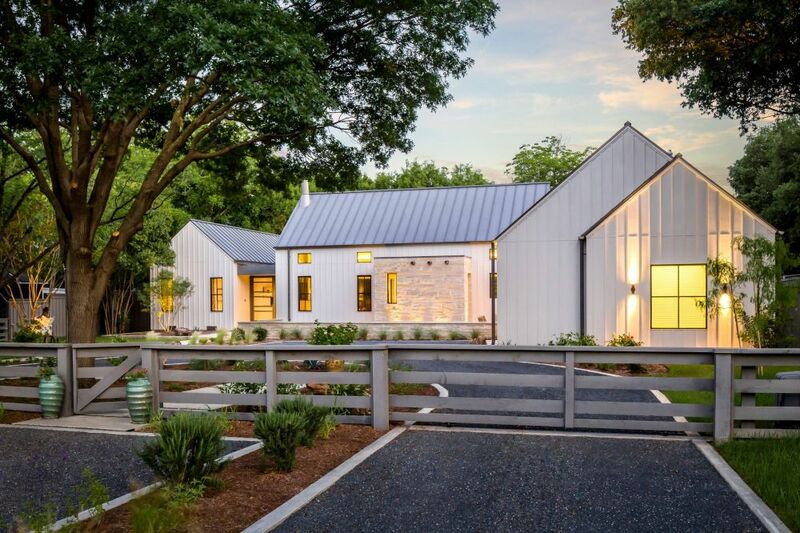 Even the most modern looking farmhouse still presents a welcome that might surprise you. Remember all those windows in the old farmhouses? 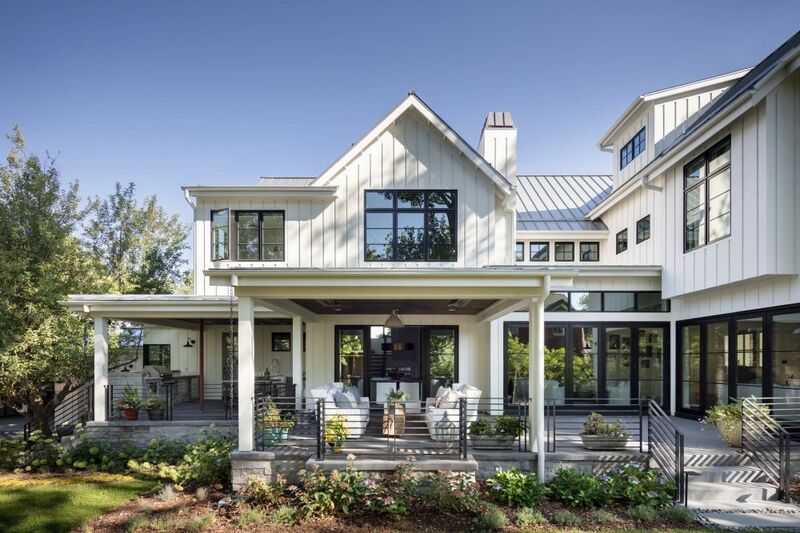 Well modern farmhouses successfully turn some of those windows into doors. Multiple front doors or backdoors are not uncommon and give you that feeling of an old Southern mansion from Gone With The Wind. 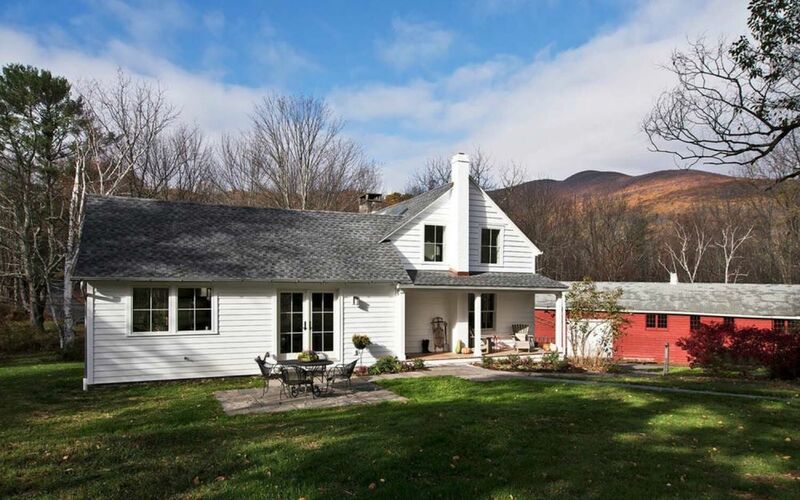 Since not all farmhouse dwellers are farmers, it won’t surprise you to find more outdoor entertainment than the classic farmhouse. Outdoor living spaces, pools and playgrounds fall in line with the family friendly farmhouse theme. 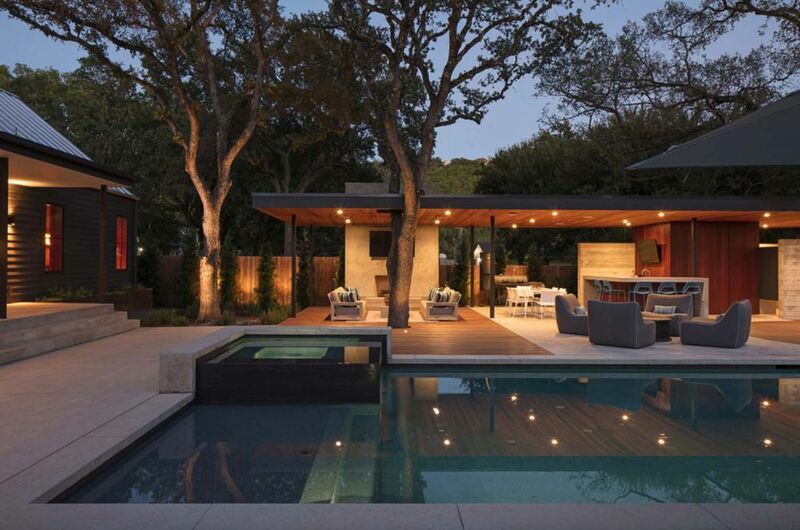 When you have a wonderful outdoor space, you want to make it as accessible as possible. 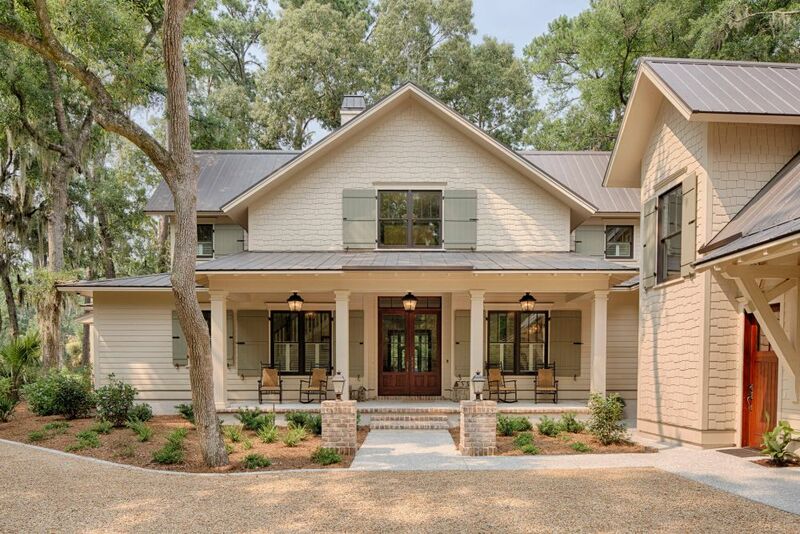 Many modern farmhouses have large doorways that make a seamless transition from indoor entertaining to outdoor entertaining. Suddenly your parties can get a whole lot bigger. 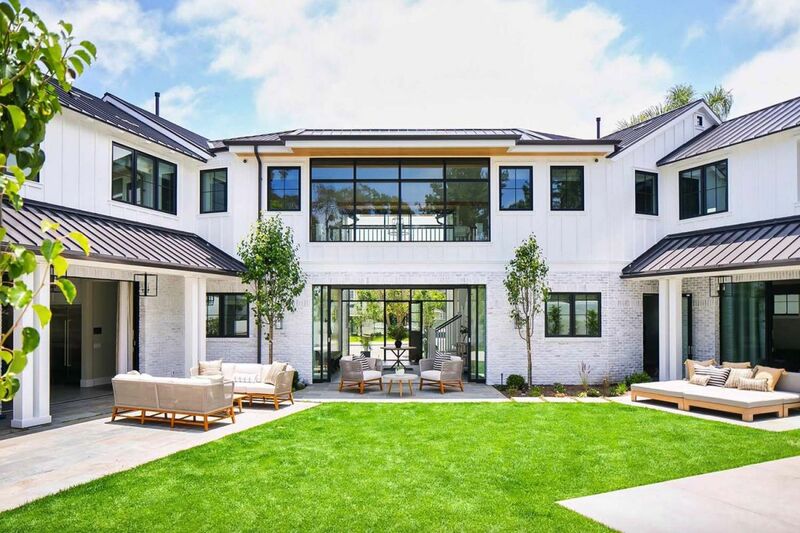 When the outside of your home is the modern version of a classic, the inside can be too. 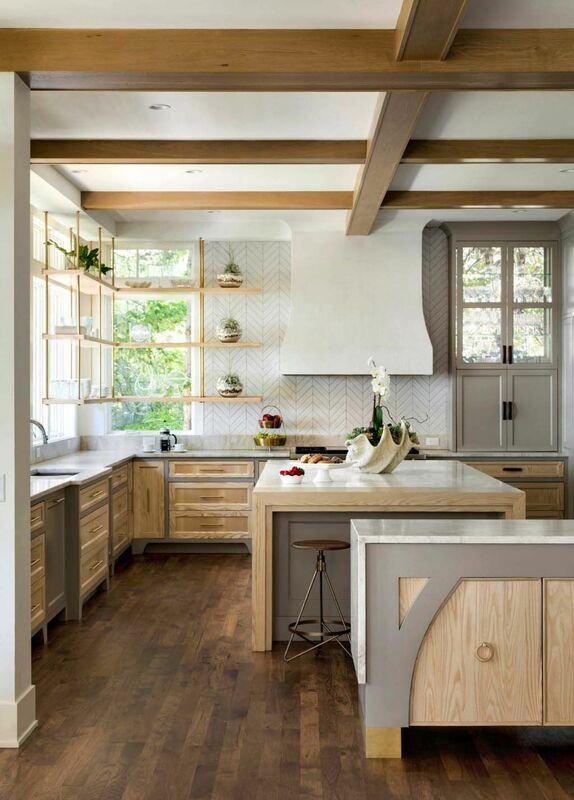 Sleek marble against warm wood seems the epitome of this lesson and as you can see, it definitely works in the modern farmhouse kitchen. 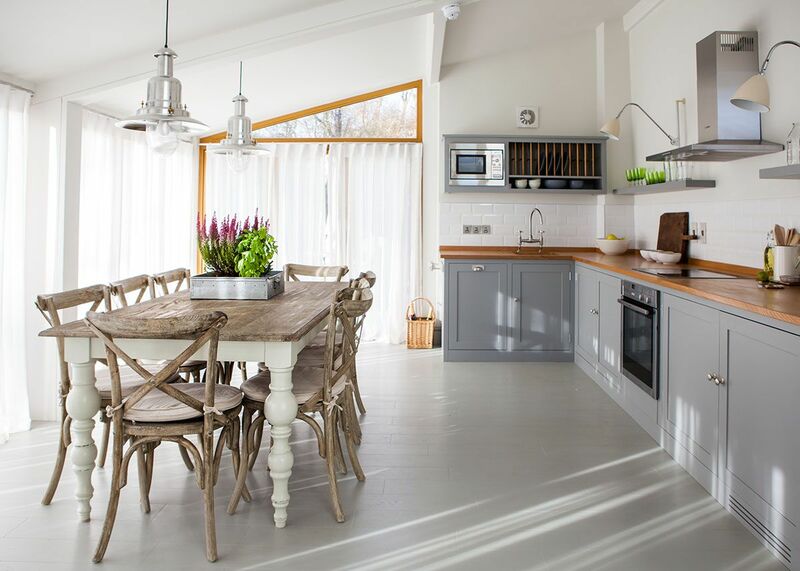 Not only is there farmhouse decor to work with, a modern farmhouse also has pops of clean Scandinavian touches as well. 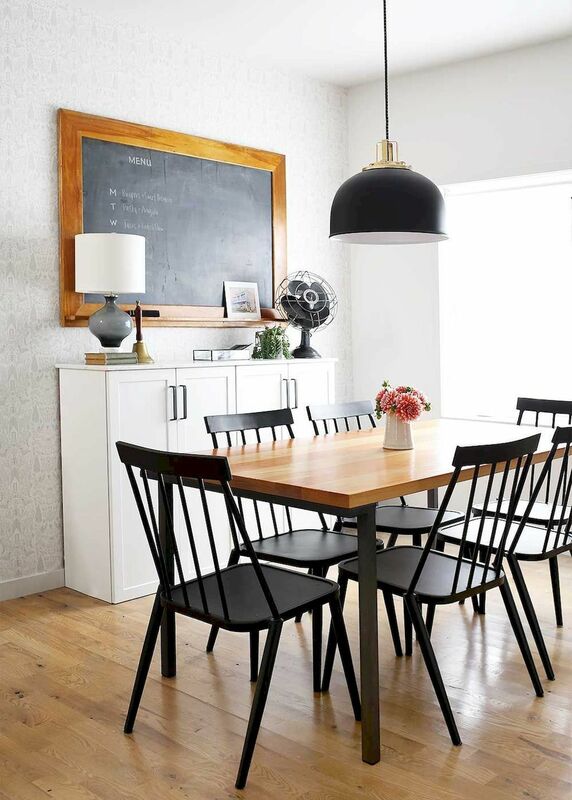 Black is the boldest accent color and furniture remains quite linear. 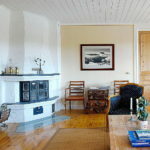 But atop wood floors, you still get a sense that this is a farmhouse, a place of family and gathering and home.